Everybody loves mother tongue and wants to see the language given by the mother flourish. Once you know the language, it is easier for you to make good relationship with people, and establish contact through effective communication. With this spirit, in the quest of winning the heart and minds of the people and publicize state policies, governments and parliaments often publish their documents in many languages. And, in a bid to share a bonding of oneness with fellow citizens, competent parliaments pay regards to every language spoken in the country. It was with this purpose that Nepal’s new constitution has adopted a progressive language policy. To look into the truth of a section of media and propagandists, a comparative study between the language policies of Nepalese and Constitutions of other South Asian states have been presented here. The result may surprise many in South Asia who seems to be under an illusion that Nepal’s new constitution grossly failed to buy the progressive provisions. But here is a fact: Nepal is set to leave India or other South Asian states far behind with the progressive provisions to protect and use Nepal’s hugely diverse languages. The Constitution of India (COI) is lengthiest constitution in world. Under part XVII of the COI, it has been envisaged that Hindi and English shall be the official languages of the Union. However, the constitution has given power to the state legislature to officially recognize any language if it is satisfied that a substantial proportion of the population of a state desires the use of any language spoken by them to be recognized by that state. Despite the Constitution of India, in both letter and spirit, engraining that a language could get official status in a state provided it has to pass the test of whether it is being spoken by a “substantial proportion of population”, it is ultimately left at the Union’s mercy for a decision. Indian machineries in Nepal- be it through Nepali Congress, Madheshi parties or India’s own secret instruments- have, of late, intensified efforts to enlist Hindi as one of the national languages in Nepal. It is not only derogatory but also against the spirit of India’s own constitution. Hindi is spoken not even by one per cent of Nepalis as the mother language, let alone by a “substantial portion of population”. According to People’s Linguistic Survey of India-2013 Report, currently as many as 780 different languages are spoken in India and 86 different scripts are used. However, only 22 of the 780 languages are scheduled as Indian languages under Schedule-VIII of COI. Nepali is also among those enlisted as one of the scheduled languages. In contrast, adopting a soft corner, the Constitution of Nepal envisages that in addition to Nepali language, a province can select one or more national languages to be used in the state if that is spoken by a majority of the people there. Although majority of people in India have accepted Hindi as a national language, there is nothing as such on record to suggest that any provision has been enacted or order issued declaring Hindi as a national language of the world’s largest democracy. Most importantly, the Nepali charter under Article 6 provides that all languages spoken in Nepal shall be the national languages. Further, the charter’s article 7 provides that Nepali language written in Devnagari script shall be the official language of Nepal. In addition to this, Nepal’s constitution gives exclusive powers to provincial legislature to make laws on language provisions, leaving no room for the intervention of the center. Because the COI has vested extensive powers to the Union parliament to make laws and exercise control, the Indian federation has always been criticized of being a “quasi-federal” state. Even regarding the language provisions, the COI provides overruling powers to the Union. Comparatively, the constitution of Nepal has adopted more liberal approach regarding the language policy-making. On the other hand, ‘Dzongkha’ is recognized as the national language of Bhutan, as provided under clause 8 of article 1 of the Constitution. Similarly, the Maldivian Constitution also adopts one-language policy. Article 11 of the Constitution envisages ‘Dhivehi’ as the national language of the Islamic Republic. Also, Islamic state of Pakistan acknowledges ‘Urdu’ a national language (article 251). Shockingly, Pakistan had dropped English as its official language and switched to Urdu in 2015. It is to be noted that the Constitution of Pakistan-1973 had adopted Urdu and English both initially as national language. “The English may be used for official purposes until arrangements are made for its replacement by Urdu,” reads article 251 (2) of the Constitution of Pakistan. Ironically, arrangements have been made and English has been replaced by Urdu. Similarly, Bangladesh also embodies one-language policy as article 3 of the Constitution confirms that ‘Bangla’ (or Bengali) shall be the language of the state for all purposes. 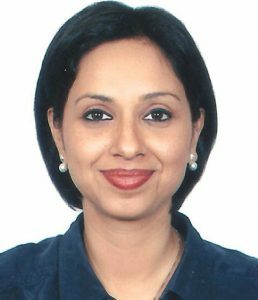 Interestingly, the Sri Lankan Constitution becomes another progressive document in South Asia in adopting a liberal approach. The charter provisions that Sinhala and Tamil shall be the official as well as national languages of the Buddhist state. In a bid to respect English or the sentiments of the people with other vernaculars, article 18(3) is a welcome provision in the document which prescribes that English would be the link language in the state. Like India, Afghanistan too adopts bi-language policy as it recognizes two languages—Dari and Pashto—as the official languages. 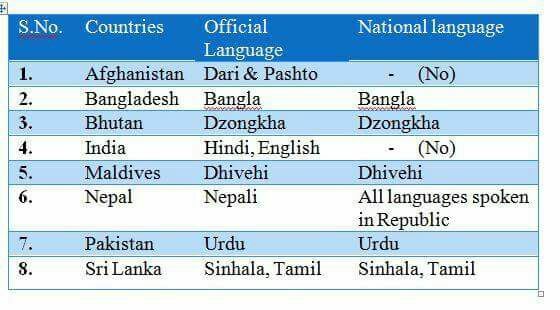 So, from above reading what becomes clear is that Bangladesh, Maldives, Bhutan and Pakistan adopt one-language policy, while India, Sri Lanka and Afghanistan root for bi-language policy (when it comes to recognize the official languages). Above all this, the famous quip of Gaston Bachelard goes, “A special kind of beauty exists which is born in language, of language, and for language.” Its high time the south Asian states should ensure equal protection to all the languages spoken in the country. Ludwig Wittgenstein put this way, “The limits of my language mean the limits of my world.” So, is it pious to discriminate or limit the scope of a language? Of course, not!